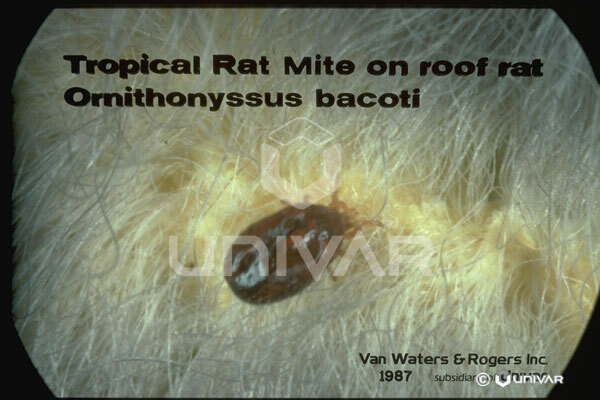 Origin: Possibly Africa, as the Tropical rat mite was first recorded infesting rats in Egypt. 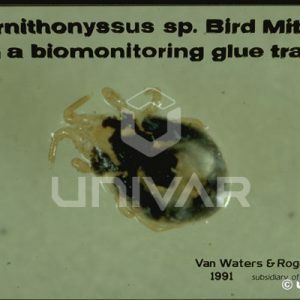 These mites are now found throughout the world, although the Northern fowl mite (O. sylviarum) is more common in cooler climates and the Tropical fowl mite (O. bursa) more common in the warmer climates. 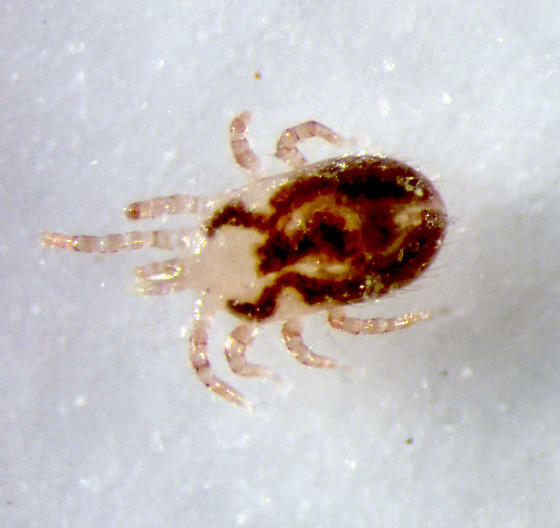 Biology: These are parasitic mites that infest warm-blooded animals. As their common names imply they may have preferred hosts of rodents or birds, but in the absence of those hosts, or in heavily infested structures, they also bite humans. Distinguishing each kind to its individual species is very difficult, but by identifying them to the genus level is an indication that the likely hosts also are present in the structure. None of these three species is implicated as an important vector of any diseases to humans, but their bites can be very painful and lead to itching, irritated rashes. While sexual reproduction occurs the females also may reproduce parthenogenetically, without fertilization by males. 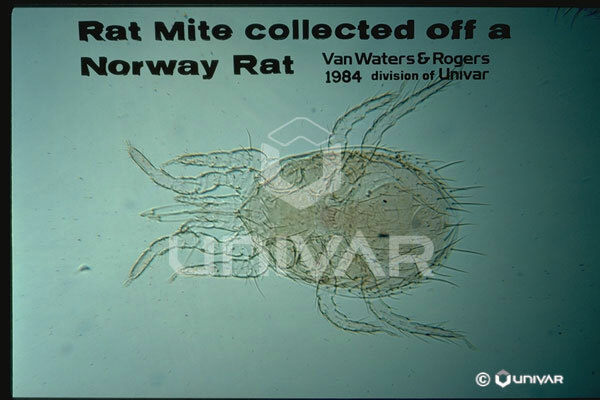 The time from egg to adult mite is usually less than 2 weeks, with 4 or 5 blood meals taken during this growth period. The nymphs generally cannot survive more than 12 days without food, while adults may survive over 2 months without a blood meal. 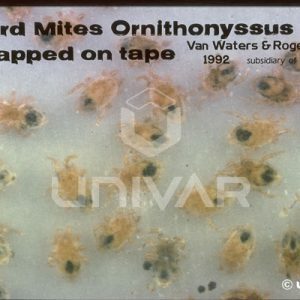 Identification: The mites are distinguished from most other common, structural species by the very long legs and very long mouthparts. These long, pointed chelicerae and palps stick well out in front of the head region. 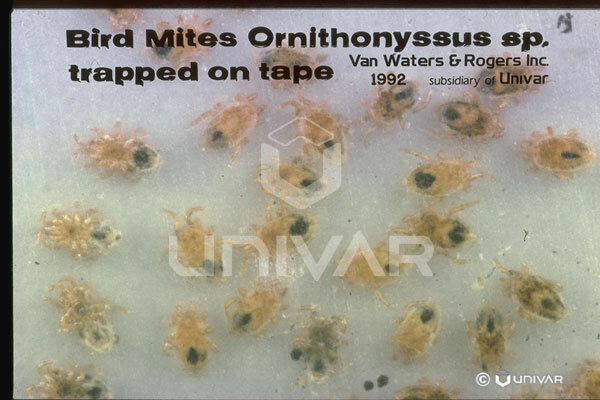 The 8 legs are very long and well separated, allowing for good mobility by these mites. The body is oval, with the thorax and abdomen combined to a single segment without separation. 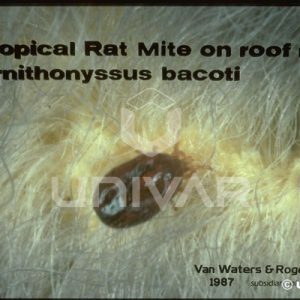 The color is light grayish in unfed mites to reddish orange in mites recently having had a blood meal. 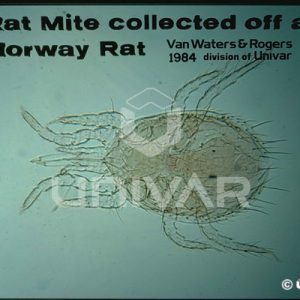 The fowl mites often seem to have a patchy, mottled appearance of dark areas. Characteristics Important in Control: Control relies heavily on proper identification, and then discovery of and removal of the source, which will be nests of rodents or birds in or on the structure. 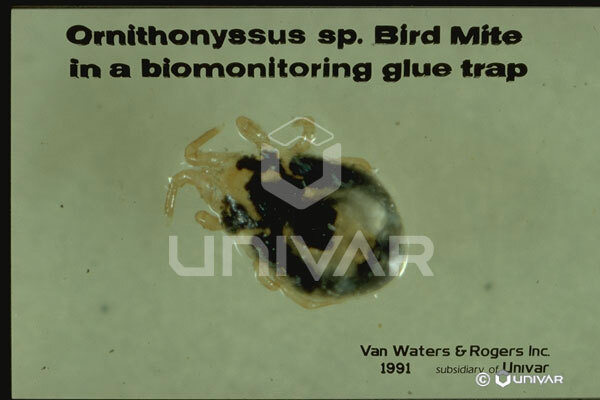 If the source of the bird mites is determined to be nests of swallows on the exterior, extreme care must be given to the protected status of these birds. Inspection may be made using white paper or glue pads with a light background, and at least 20X magnification may be needed to make the identification. Once the source is eliminated it may be advisable to treat within attic or crawl space areas as well as within wall voids. Residual dust insecticides or pyrethroids labeled for void treatment can be effective.